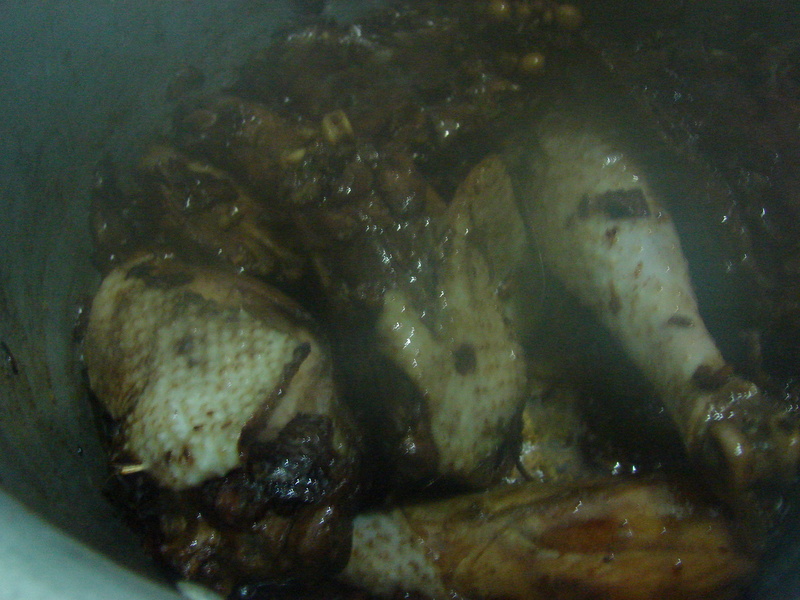 I normally avoid cooking kienyeji (road runner) chicken for fear of under cooking it and of course the fact that it can be a bit tough. On one of my visits at my neighbours place (read the Murigis), I found some Tupike magazines which I gladly skimmed through and voila I landed on this recipe. I was to host my colleagues for lunch and that moment a light bulb went on since I’d been clueless on what to prepare. So I hosted the lunch and for sure the chicken was a hit. Not only was the chicken perfectly cooked but it was delicious and soft. I believe my colleagues enjoyed since I’m yet to get a negative remark. Start by making the marinade. Crush the ginger and garlic. 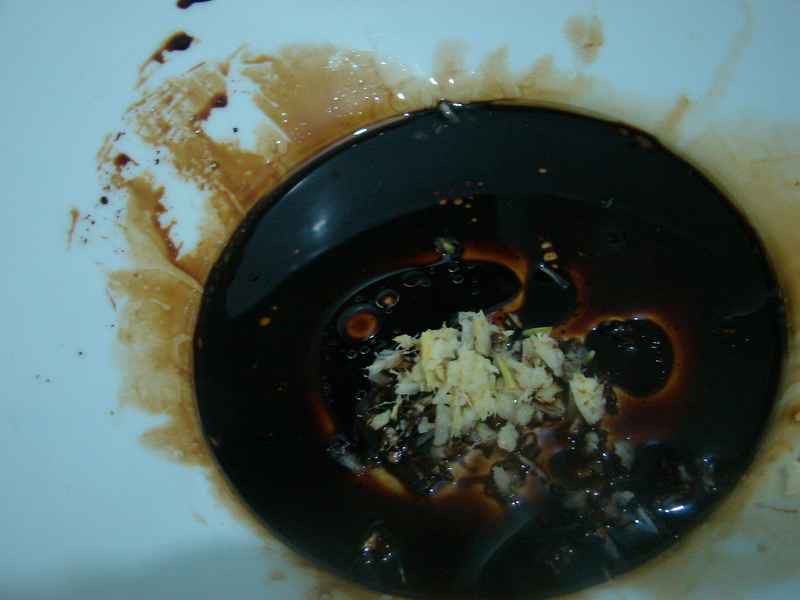 In a large bowl combine the vegetable oil and soy sauce. 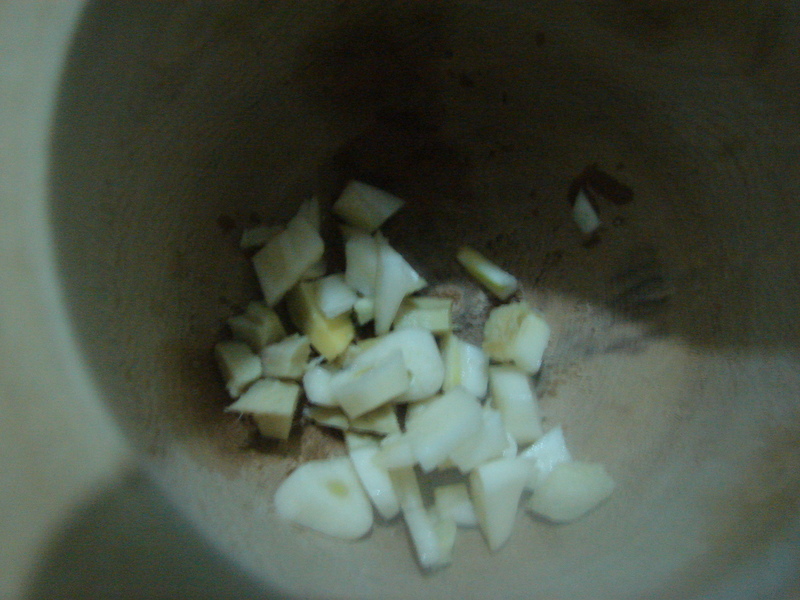 Then mix in the ginger and garlic. Now, cover the bowl with a clear cling wrap and put it in the fridge for a minimum of thirty minutes. If you have time you can marinate it overnight (in the fridge of course). 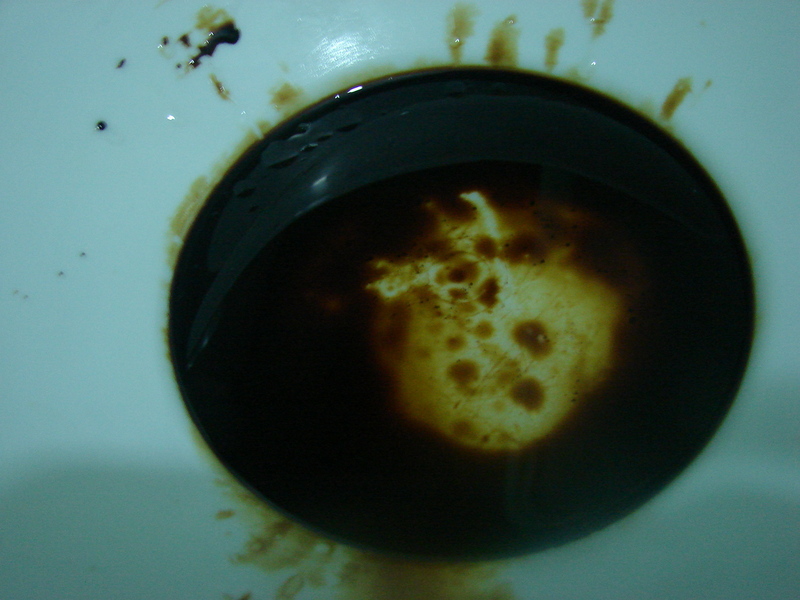 In a large sufuria, or rather one that can fit one whole chicken put about one tablespoon of vegetable oil. 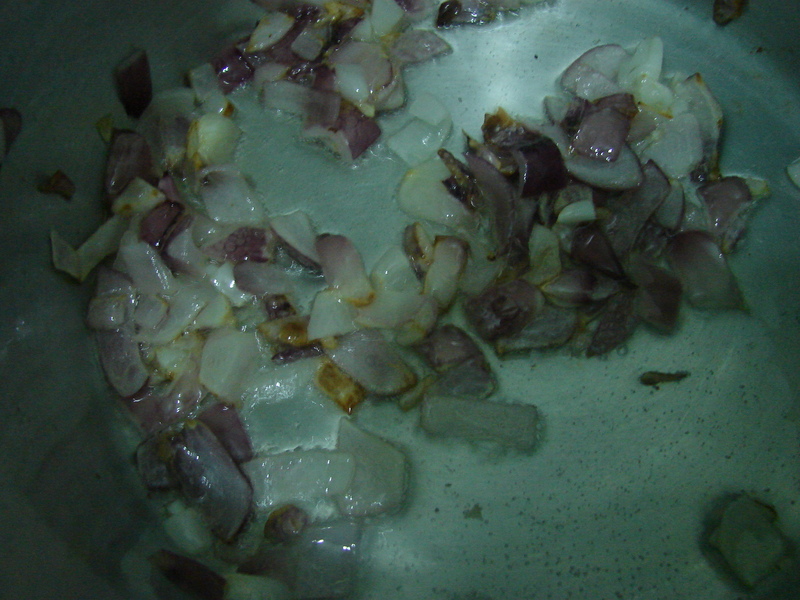 Let the oil heat up then saute the onions. 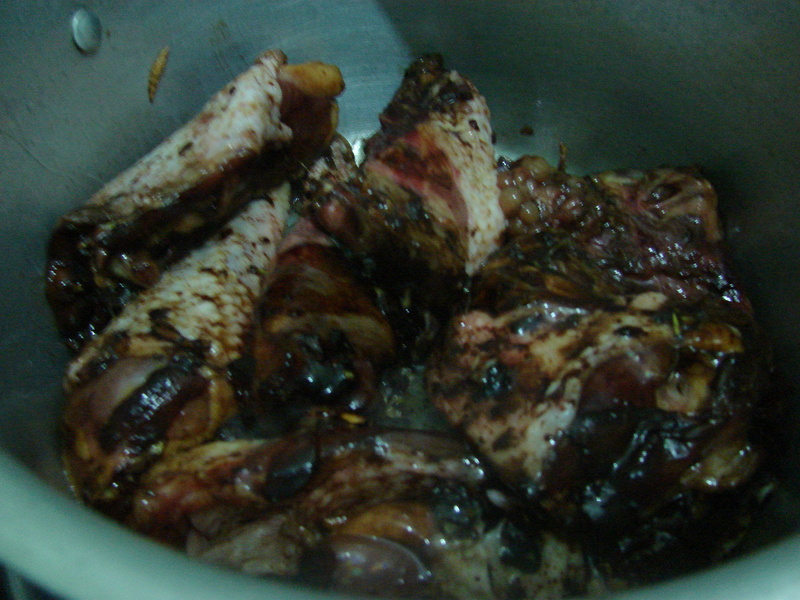 Once the onions are browned, add the marinated chicken pieces. The cooker should be on high, the aim here is to brown the chicken pieces. When adding the chicken start with the chicken thighs and legs followed by the other pieces. Keep stirring to ensure all the chicken pieces get browned. Do this for about three minutes. 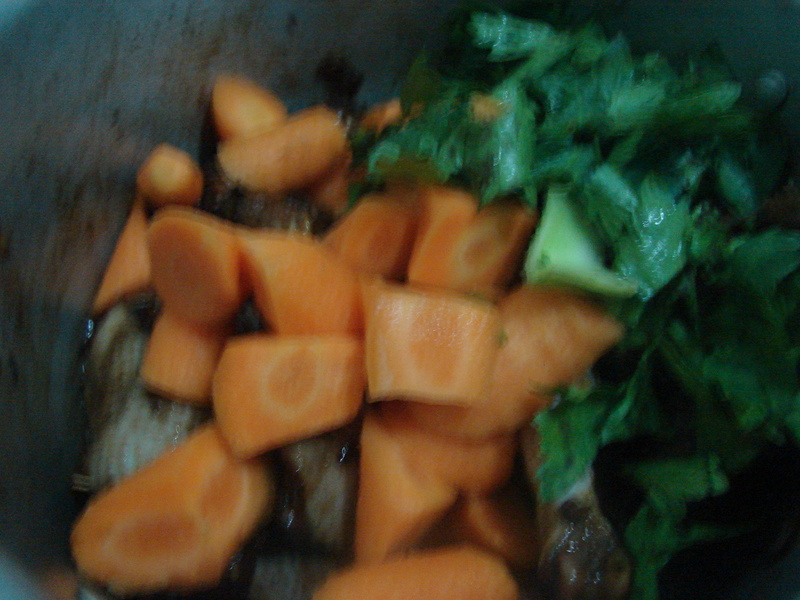 Let the chicken cook on high for about ten to fifteen minutes then add in the carrot chunks and the celery. You can season with a little salt. 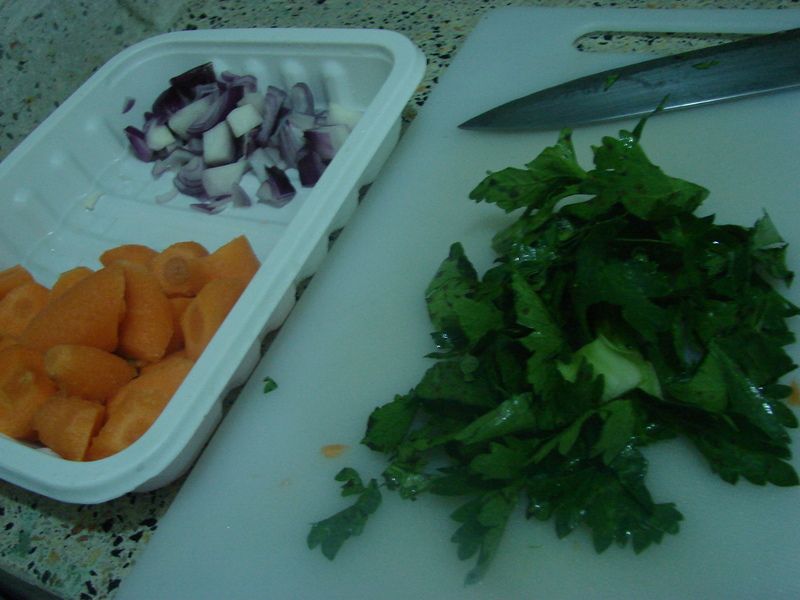 Now, reduce the heat to medium or medium low , cover the sufuria and let the chicken cook for forty five minutes. So, here is where I mention that the chicken was too delicious and we were really hungry that I forgot to take pictures of the end result… yeah it happens. 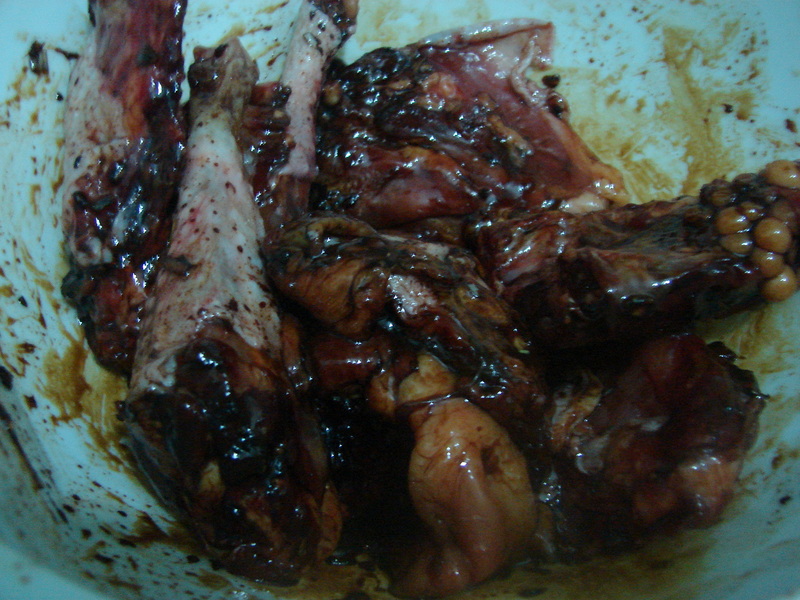 Anyway, go ahead try out this recipe I guarantee that you will never whine again about kienyeji chicken being tough. Finger licking good. I have cooked this many times over and I’m not about to stop. I think I’ll cook this for dinner tonight. Thanks for stopping by and I apologise for the hiatus, being a wife, employee and study can sometimes take a toll on someone.